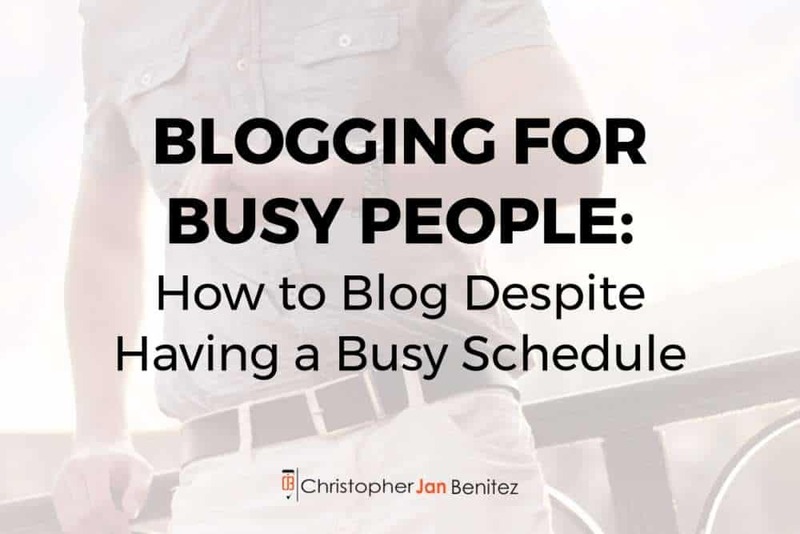 Most bloggers I know have busy, hectic schedules. Even though I am a full time, pro blogger, I sometimes change time zones like most people change their minds. I want to share a few tips to help you build a successful blog even if you are busy as heck. I have seen it happen again and again. Inspired, excited bloggers hop into the game with vim and vigor. These folks sprint out of the gate. But after a few months, or weeks, or even days, most new bloggers quit. A striking majority of bloggers allows their offline life or online distractions to create a general busy-ness that takes out their blogging campaign at the knees. Overtime at your full-time job. One of your children gets sick. Or perhaps you are on a long-term vacay, traveling here and there, putting your blog on the backburner. Even I take short breaks from blogging. But when you are doing nothing blogging-wise for weeks and months because of your busy life you are guaranteed to fail. I cannot lie; you may need to change some habits to become a successful blogger despite being busy. But from my personal experience, cutting down your TV time from 3 hours to 30 minutes daily is definitely worth being able to book a flight to Bali now and travel there tomorrow. You never have a time problem. You simply value one thing over the other. Example; at about 6 PM on a weeknight I had already published 2 guest posts today. I wrote a travel-themed page for my blog. I have one more guest post to write this evening. Toss in 4 hours of networking – blog commenting – and a late wake time at 10 AM (tired from my 10-mile running sessions) and I could easily mail it in, saying I have no time to write this guest post, as Netflix and dinner and my nightly hour-long walk are calling. I value the opportunity to serve his audience. I value having fun writing. I value expanding my online presence so I can meet and help more bloggers. I value being a pro blogger who circles the globe. So I write the post. If you value the love and fun of blogging you will spend 30 to 60 minutes daily working on your blog posts, guest posts and publish effective comments on top blogs. You could work 8 to 10 hours every day and you’ll choose fun and freedom over saying you were “too busy to blog”. Promoting other bloggers on social media. Creating at least 1 post weekly for your blog. Build your blogging day around these 4 core leveraging activities. Each spreads your presence far and wide in minimal time. If I’m flying 23 hours from New York City to Bali I focus on writing a high volume of quality guest posts combined with effective blog commenting when I grab a WiFi connection at the airport. Promoting other bloggers freely builds bonds. These blogging buddies will promote you freely while you are at your full-time job or 36,000 feet over the South Pacific on your way to Fiji. Shut off the phone. Turn off laptop notifications. At least for a few hours daily. Unless you are a doctor, nurse, fireman, police officer or anybody with a full-time job based on life or death scenarios, you can check your email 3 hours from now. No need for a minute by minute notifications, all of which add to your busy-ness, pulling you away from those leveraging activities you need to engage in. 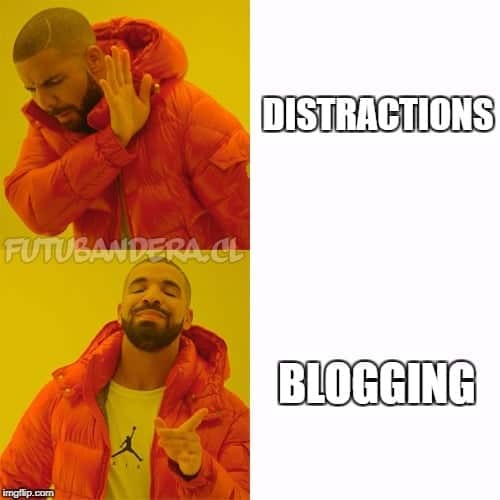 You know who I am talking about; those bloggers who endlessly complain about their busy-ness and how they never seem to get anything done. Do not allow their fear-based, limiting beliefs to infect your mind. If you let these scared bloggers in, rest assured that you will have a terrible time tackling your busy blogging day with negative influences around. These folks are so busy serving and helping and creating and connecting that they have little time to complain about how busy they are. These blogging pros will influence you to build your day around what you most value, which should be fun and freedom. Example; a while back I wanted to make a greater impact with my 126 eBooks. I bought a product from a Kindle self-publishing dynamo. I received almost instant returns, boosting both my eBook awareness and sales within days. How are you blogging on a busy schedule?